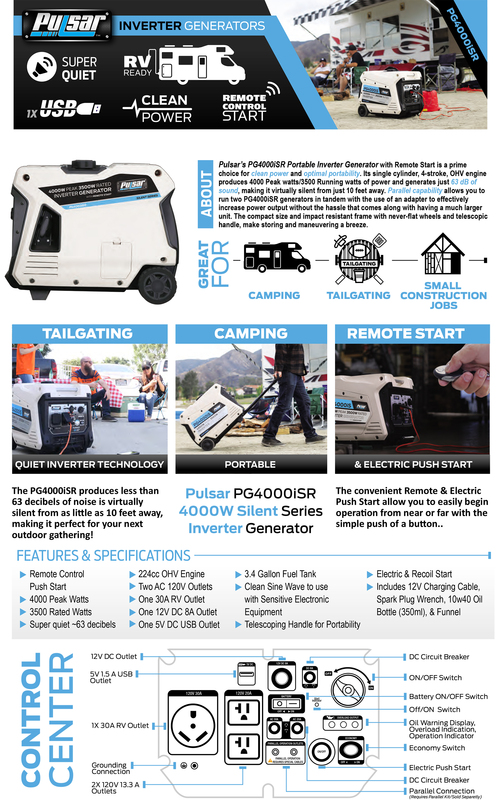 The PG4000iSR Portable Inverter Generator is a versatile and rugged source of alternative power for any occasion. 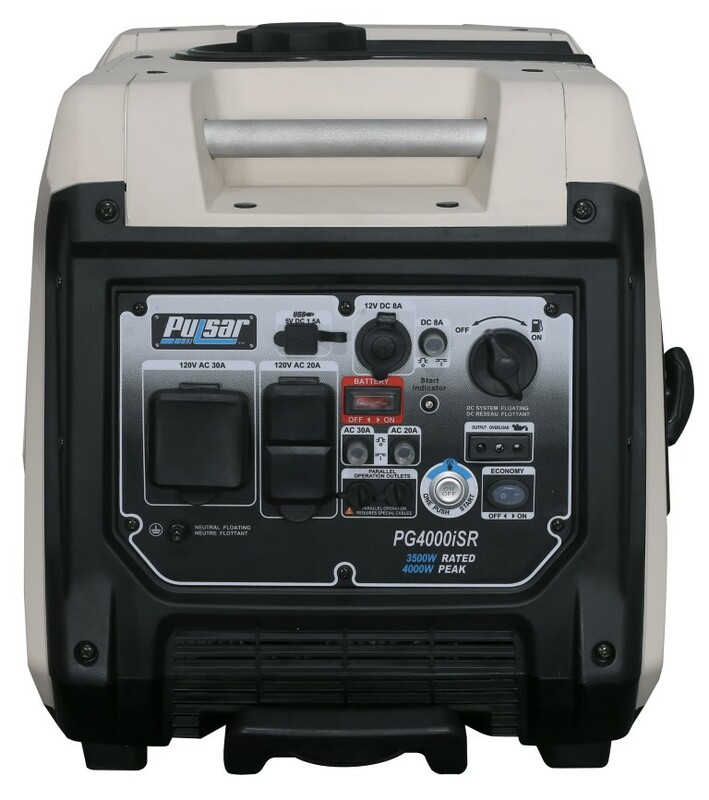 With 4000 Peak Watts/3500 Running Watts and up to 12 hours continuous operation on just 3.5 gallons of fuel, the PG4000iSR is both a practical and powerful choice for your next outdoor event. 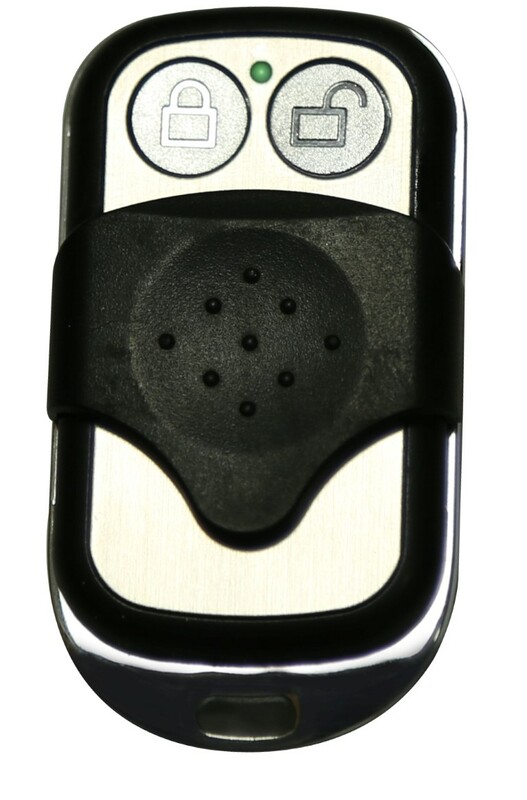 Features like the Electric Push Start & Remote Start allow you to easily begin operation with the simple push of a button from near or far. 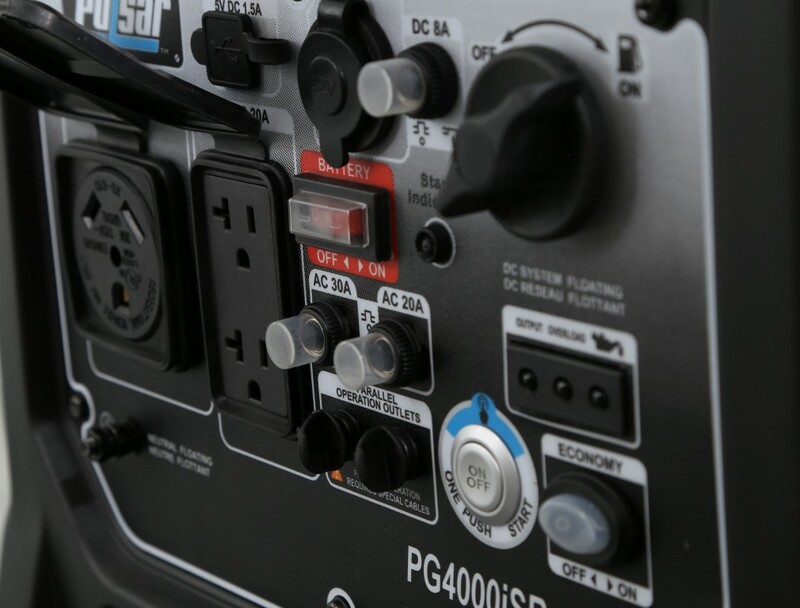 The PG4000iSR also sports one 120V 20AMP duplex outlet, one 120V 30AMP RV Outlet, one 12V DC 8AMP Outlet & One Integrated USB Outlets w/Parallel Sockets providing you with pure, safe electrical power perfect for cellular devices, laptops, and other sensitive electronics while camping or during a blackout. 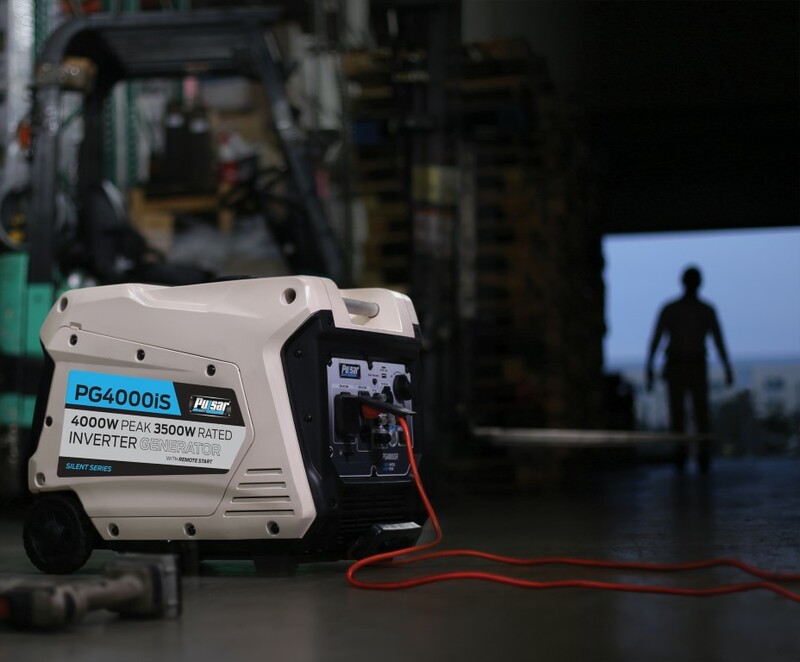 Its compact size and impact resistant frame along with the never flat wheels, make storing and maneuvering this generator a breeze. 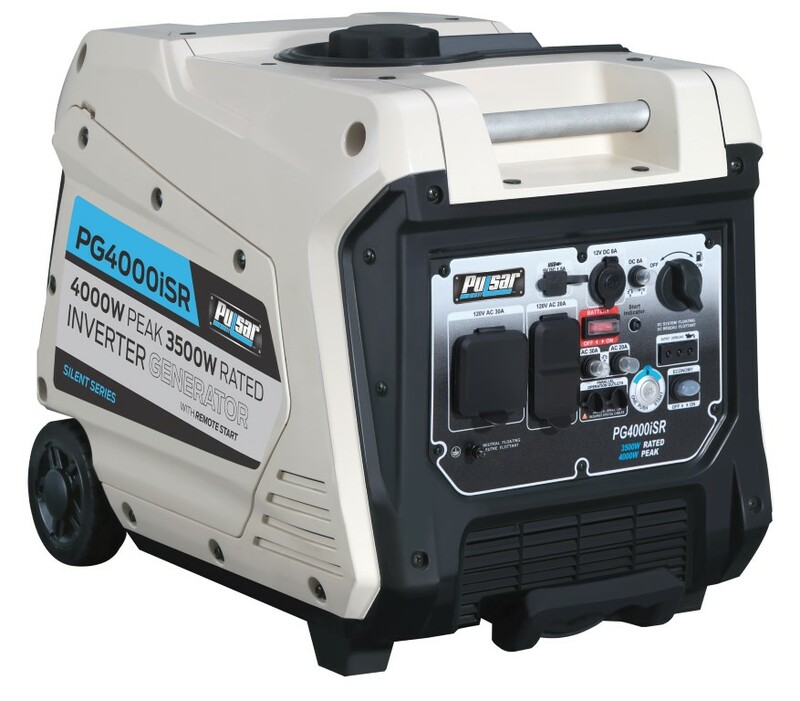 Quiet Inverter technology with parallel capability make the PG4000iSR an economical and reliable choice in power source for your next adventure. 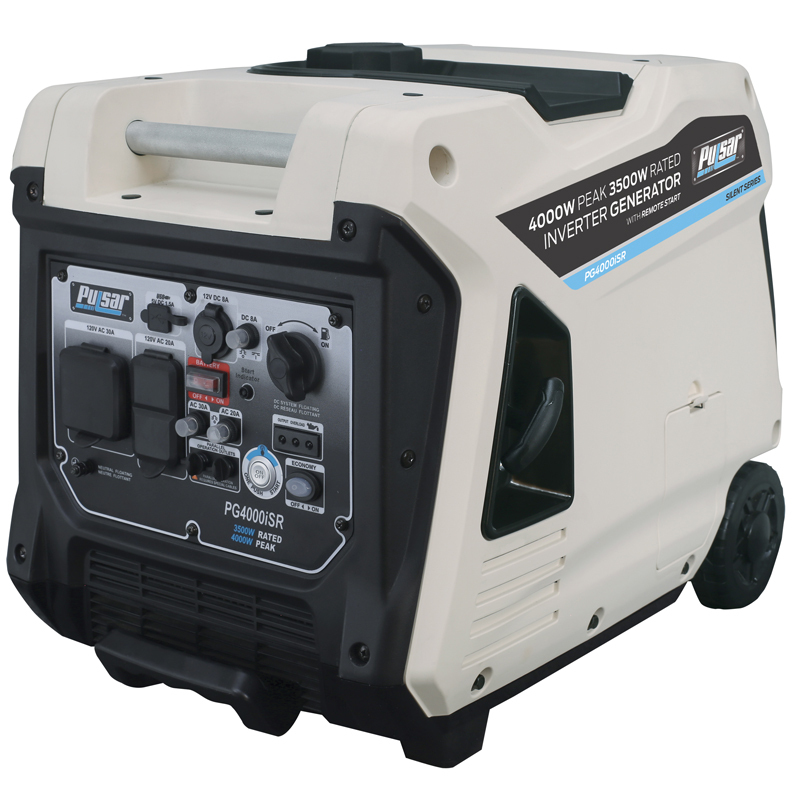 This generator is C.A.R.B approved and is compliant in all 50 states.